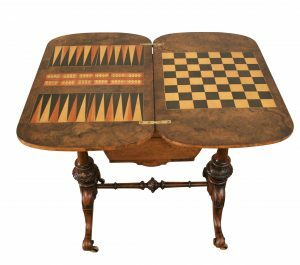 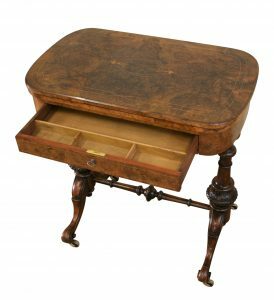 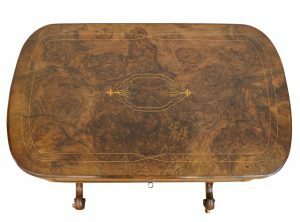 A Victorian inlaid walnut work and games table. 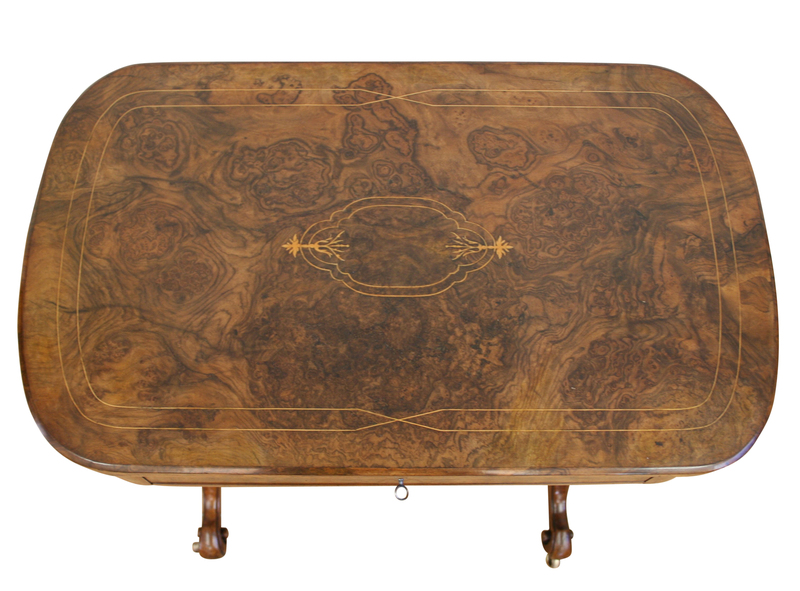 The burr walnut top which is inlaid with decorative box wood lines. 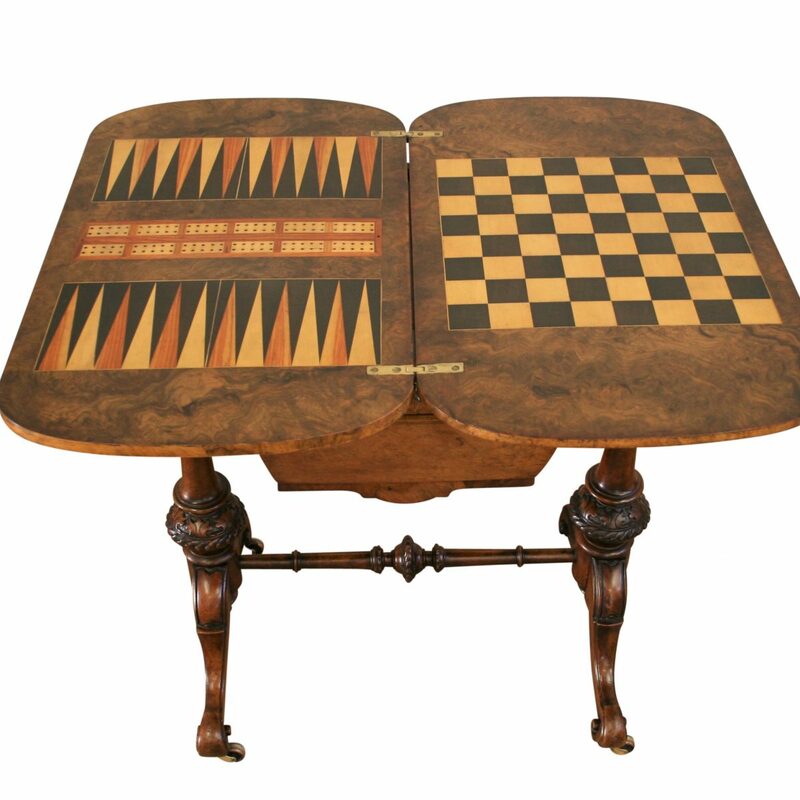 It has a fold over top which opens to reveal chess, backgammon and cribbage boards. 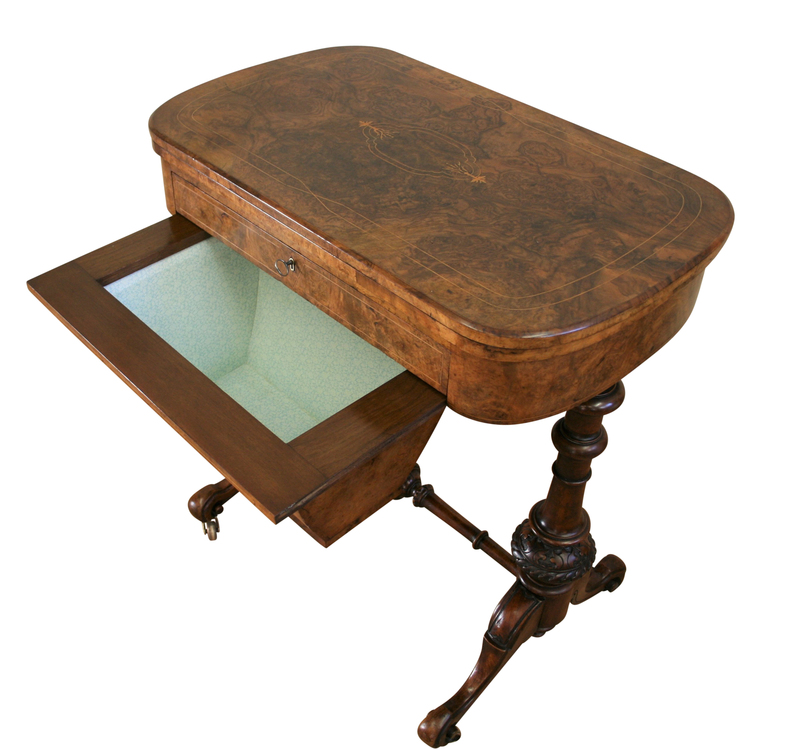 The frieze drawer is lined in sycamore with compartments. Below this is a work box, which pulls forward. 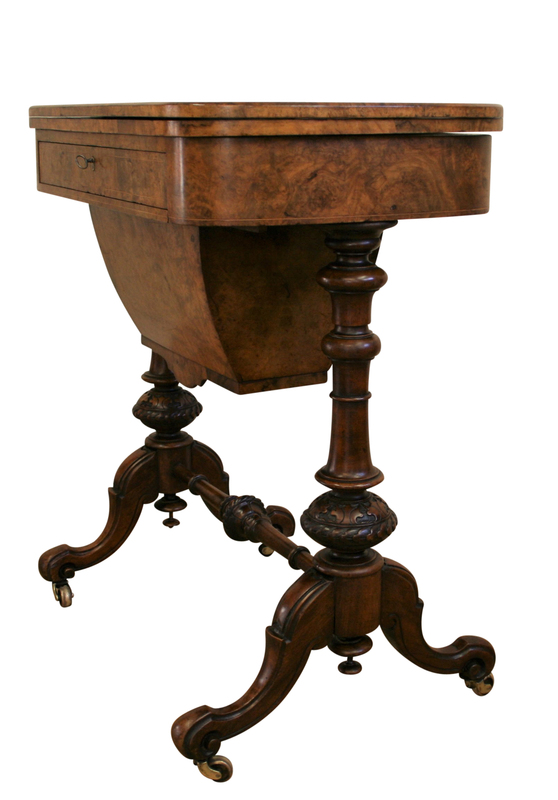 It is supported on turned and carved columns which are united in a turned stretcher rail and it is all raised on carved cabriole legs fitted with brass castors.